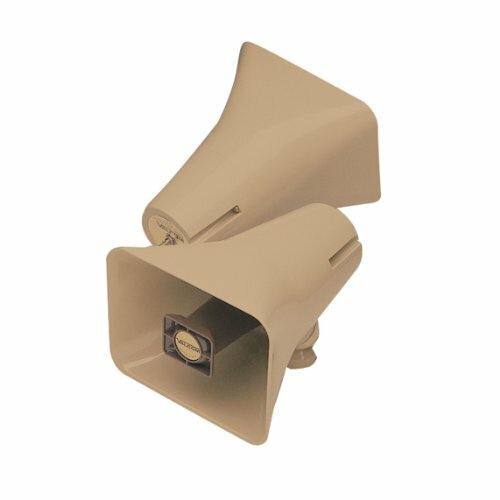 Valcom paging horn. 15 Watt. One way. Easy Omni-Lock I-Beam clamp mounting system. Weather resistant. Indoor/outdoor. Built-in amplifier. Built-in volume control. Stainless steel hardware. 360 rotation. Shatter-proof base fits seven standard electrical gang boxes. Gray. VCV1036C. 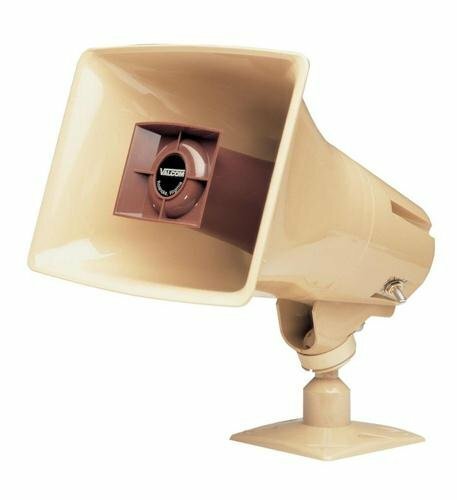 Horn Speaker-- Paging in Two Directions. 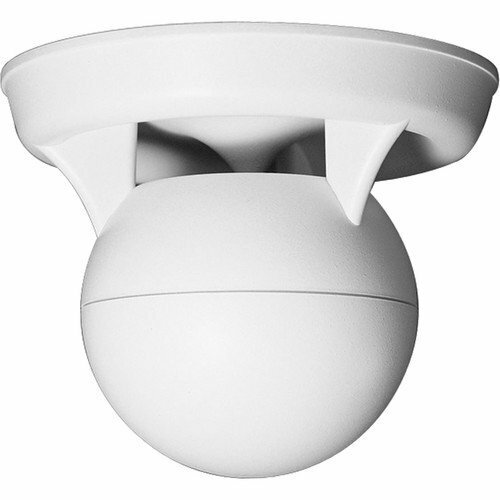 Indoor/outdoor weather-resistant speaker. 5-Watt total. Built-in amplifier & volume control (one-way speakers only). Stainless steel hardware (includes mounting bracket). Paging horn. Talkback. Easy Omni-Lock I-Beam clamp mounting system. Weather resistant. Indoor/outdoor. Stainless steel hardware. Built-in amplifier. Built-in volume control. 360 rotation. Shatter-proof base fits seven standard electrical gang boxes. Gray. Weight: 4.4lbs. Dimensions: 7.38"H x 10"W x 10.4"D. VALCOM POWER UNITS (0). VCV1048CGY. 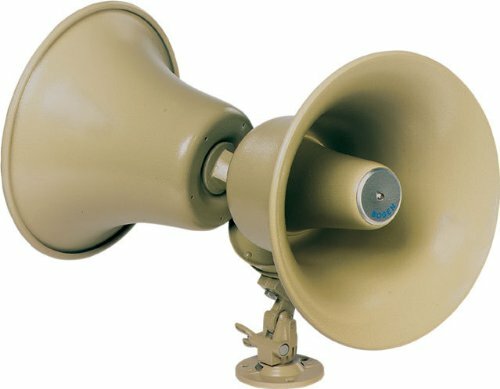 Valcom paging horn. 15 Watt. One way. Easy Omni-Lock I-Beam clamp mounting system. Weather resistant. Indoor/outdoor. Built-in amplifier. Built-in volume control. Stainless steel hardware. 360 rotation. Shatter-proof base fits seven standard electrical gang boxes. Beige. Weight:4.6lbs. 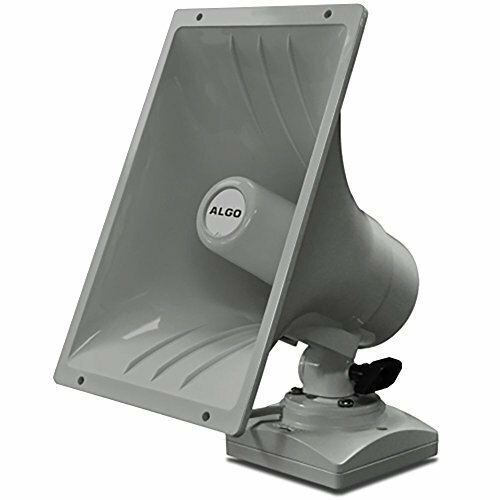 Dimensions: 7.38"H x 10"W x 10.4"D. VALCOM POWER UNITS (-18). VCV1036C. 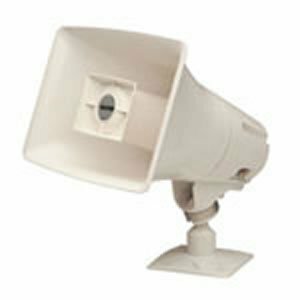 The white Soundsphere 110-Page 6.5" Paging Loudspeaker is designed for high-powered, clear voice announcements in challenging environments, such as spaces with high ambient noise. The 110-Page features 360Â° horizontal dispersion. It is compact, with a 10" diameter sphere. 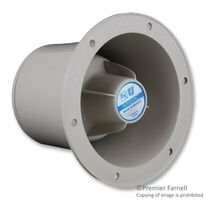 The speaker comes fully assembled and ready to mount using the Soundsphere hanging kit or mounting bracket (sold separately). 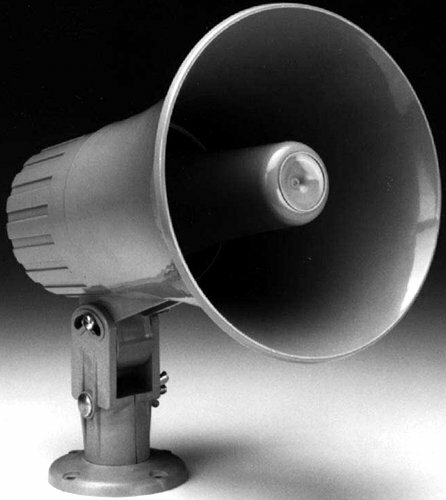 Valcom paging horn. 15 Watt. One way. Easy Omni-Lock I-Beam clamp mounting system. Weather resistant. Indoor/outdoor. Built-in amplifier. Built-in volume control. Stainless steel hardware. 360 rotation. Shatter-proof base fits seven standard electrical gang boxes. White. Dimensions: 7.38"H x 10.0"W x 10.4"D. VALCOM POWER UNITS (-18). VCV1036M. 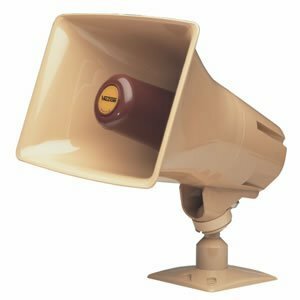 Valcom Paging Loudspeaker Horn Model: V-1030C Repair Part 1.